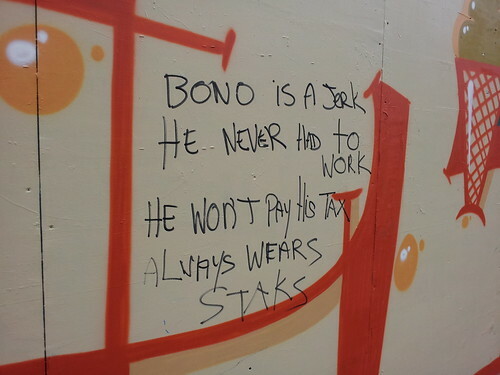 Walking the streets of Dublin a couple of months ago, I came across this message for U2's Bono. Any guesses as to what the heck staks are? STAXS is a dynamic, leading clothing retailer – successfully providing today's women with sophisticated fashion, styled for today's world! He's a short man, staks are probably shoes or inserts in shoes to make you appear taller. We know them as "lifts"
Agree with Pete. Ever notice his footwear on stage? The soles of his boots/shoes are usually about 3" high. He's but a wee leprechaun. That makes sense. That's got to be it. Bono is a great person... Talented too..
U2 base all their crews and operations out of Ireland. The main reason they moved their business aspect was because the Irish taxation on their international operations was extremely high. 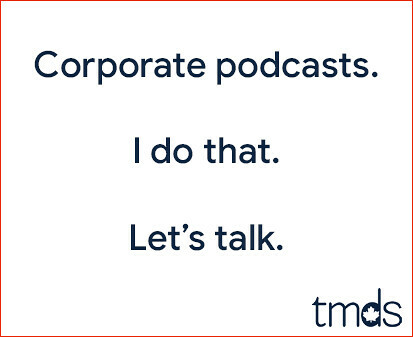 Any smart business would do that same. He wants governments to commit more tax money to Africa but doesnt want to pay his own. Bono does grat charity work, no doubt about that. However, the guy is still a tool, his ego is unmatched (other than our own Irv prehaps)and the guy wants everyone to know how great he is and how much charity work he does, he gets off on it. I actually really enjoyed Rattle and Hum, but that's the last U2 album I loved. @ Mike - Not familiar with Rattle and Hum, could you name a single I might recognize off it. That being said, U2 is kinda like Pearl Jam for me. I completly recognize that both are hugely successfull bands, and I quite enjoy a number of their songs, I just never got what the big deal about them was...I know some people that put them in the same leauge as the Beatles and Zepplin...personally I just don't see it in terms of quality of music....longevity for sure, but in my view, not quality. But, as I've said before, that's the beauty of music, it means different things to different people. What I liked about Rattle and Hum was that it's part great new songs, part live versions of great U2 songs and part cool covers. U2 is the musical equivalent of Walmart but they sell organic carrots as a feel good move then tell the world how in touch with the planet they are. Rattle and hum actually seems pretty intersting, might have to check that one out. Achtung Baby is their greatest album and widely considered by most music critics one of the top 10 rock albums of all time. Achtung Baby was the beginning of the end for U2. I'll take Boy, or Joshua Tree, or Rattle and Hum. And I can't believe this is happening AGAIn, but I have to agree with Irvine here too. Bono (I won't throw all of U2 under the bus, since the other 3 stay pretty quiet), is a two-faced db. When he started crticizing Harper and Canada about what we do to help 3rd world countries, Bono lost all credibility he had. 519 Rob - He had every right to rag on Harper. Harper cut federal help to a number of releif organizations world wide - after he said he wouldn't! These are the same projects that Harper spoke and promoted himself only a year before. It essence Harper said one thing and then did the exactly opposite. Rattle & Hum is great too but everything else is so-so. But in concert, they're more than worth the price of admission. Argie - 100% Agreed... Live No One Comes Close... Their Simply Amazing! @ MrFascination - I've seen U2 live, and it was a great show. That being said, Dave Matthews Band blows them out of the water for live shows. If you've never been, I highly reccomend it! Mississauga Phil - We have different views of Dave Mathews Band.. I consider them one of the most over rated bands ever.. I've seen them live (friend dragged me to it back June 2010).. I thought it was an awful concert - BUT i'd say that crowd loved it... Almost like a cult following.. Really strange.. Just not for me. @ MrFascination - No doubt that DMB are one of those groups that you either love or hate, there is usually no middle ground. If that 2010 show was at the amphetheatre downtown, then I was at that show too...loved it!! I despise U2 now as well but for me they were at their best when War came out. Hey Toronto Mike, thanks for taking a pic of this. My wife and I were in Dublin last month and I noticed this message (It's a bit faded now and a few scribbles over it). I mentioned it to her this evening and she said she didn't remember seeing it. I was a bit amazed I was able to Google it and find it here! I was kicking myself for not taking a pic, but glad someone caught it for posterity. LOL Cheers! Hey, I took a photo of that back in Sept last year. I was searching the web looking for the meaning of staks. Thanks for clearing this up.